2017 Chris Craft 34 CATALINA, The flagship Catalina 34 is a center console unlike any other. Loaded with luxuries, its expansive bow seating, fold-away aft seating, and a spectacular berth for 2, make it equally at home as a cruiser or as a comfortable weekender. The wide beam accommodates three-across seating at the helm, and a well- equipped summer kitchen serves dinner for 14 guests. When you choose to getaway, its fully prepped for the perfect escape. 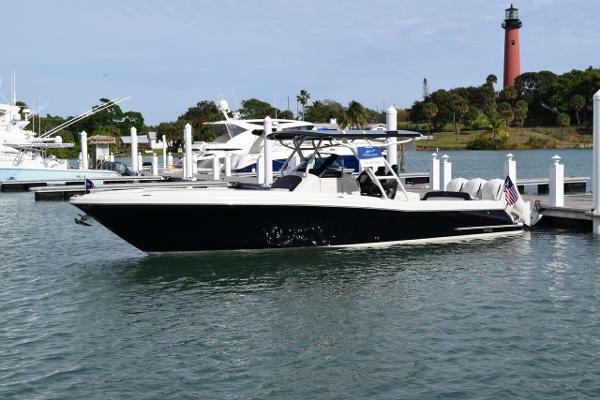 2017 Chris Craft 34 Catalina The flagship Catalina 34 is a center console unlike any other. Loaded with luxuries, its expansive bow seating, fold-away aft seating, and a spectacular berth for 2, make it equally at home as a cruiser or as a comfortable weekender. The wide beam accommodates three-across seating at the helm, and a well- equipped summer kitchen serves dinner for 14 guests. When you choose to getaway, its fully prepped for the perfect escape. 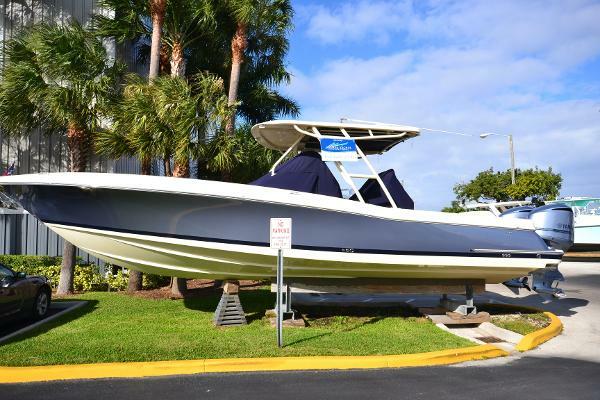 2016 Chris Craft 34 Catalina Brand new 2016 Chris Craft 34 Catalina in stock at our Marco Island location. Powered by Triple Yamaha 300's. This is a show stopper, and has to be seen in person. All the amenities of a cruiser on an excellent running center console hull. 2016 Chris Craft1 34 Catalina Our Trade- 2016 Catalina 34 with the preferred triple Yamaha 300 engine package currently under 100 hours. 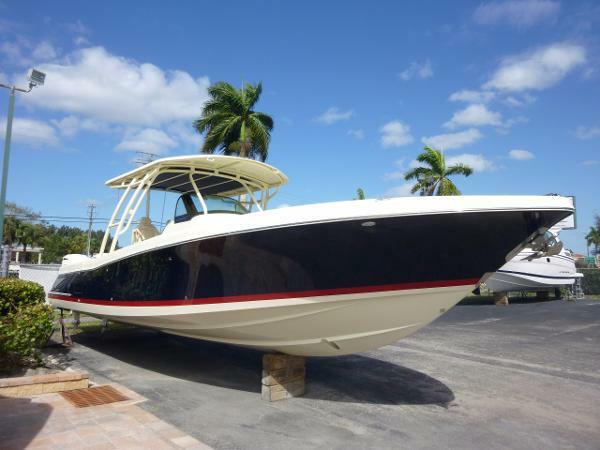 This boat is loaded with joystick, Garmin touch screen displays, radar, flir nightvision camera setup, generator, custom color combination- One of a kind. Available immediately at a very substantial discount compared to new. 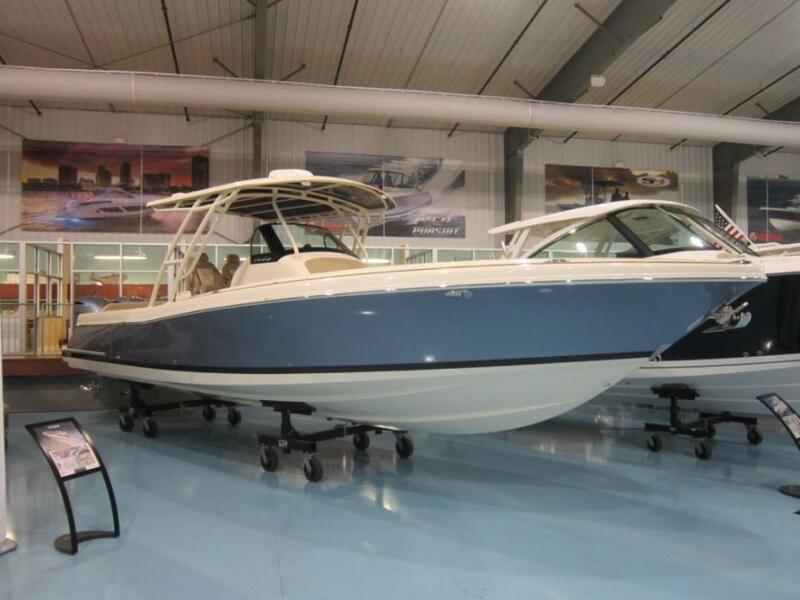 The Catalina 34 is the latest development and flagship in the Catalina series of center console boats for Chris-Craft. The combination of power, innovation, and classic Chris-Craft styling in the Catalina 34 will make this boat a one of a kind on the water. 2016 Chris Craft 34 Catalina OUR TRADE OUR TRADE 2016 Catalina 34 with the preferred triple Yamaha 300 engine package currently under 100 hours. 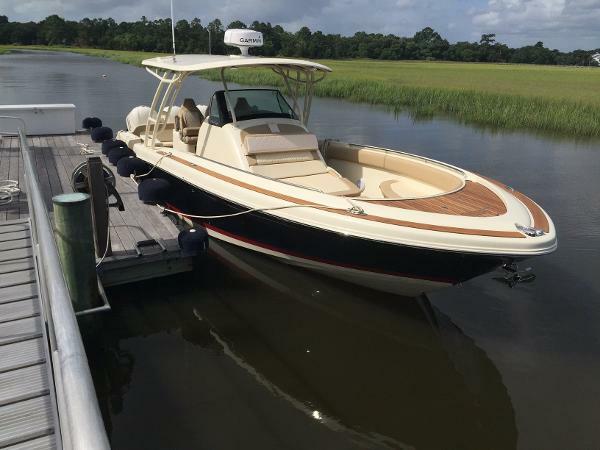 This boat is loaded with joystick, Garmin touch screen displays, radar, flir nightvision camera setup, generator, custom color combination- One of a kind. Engine warranties through 2020! Available immediately at a very substantial discount compared to new. 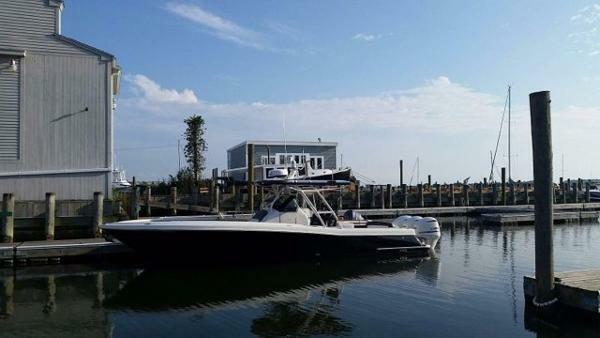 The Catalina 34 is the latest development and flagship in the Catalina series of center console boats for Chris-Craft. The combination of power, innovation, and classic Chris-Craft styling in the Catalina 34 will make this boat a one of a kind on the water. 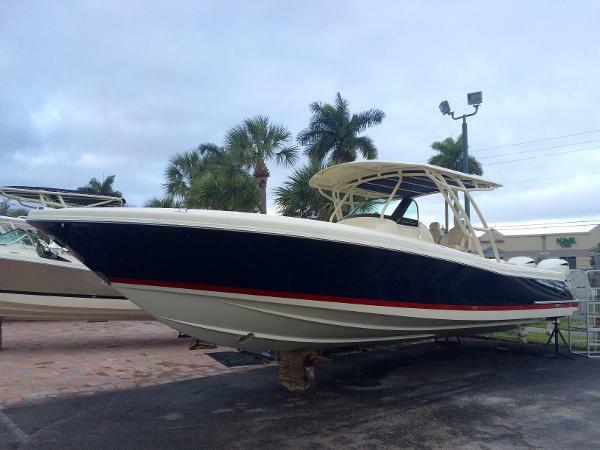 2016 Chris Craft 34 Catalina Brand new 2016 Chris Craft 34 Catalina in stock at our Fort Myers location. This is a show stopper, and has to be seen in person. All the amenities of a cruiser on a battle ship of a center console hull.